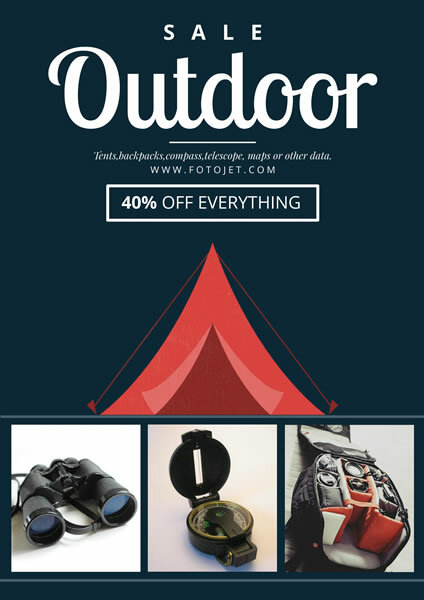 This sale poster is specially designed for outdoor shop. The overall effect is sporty and suitable to show your outdoor equipment on sale. You can get inspiration from this poster and create your own sale poster design with ease. It is also available to utilize this specific template for your own business by easily tweaking the fonts, image and other components.